New data released by the National Highway Traffic Safety Administration December 19 shows a decrease of 3.1 percent in the number of road deaths compared to the previous year. Since 2004, the total number of road deaths has dropped nearly 25 percent. 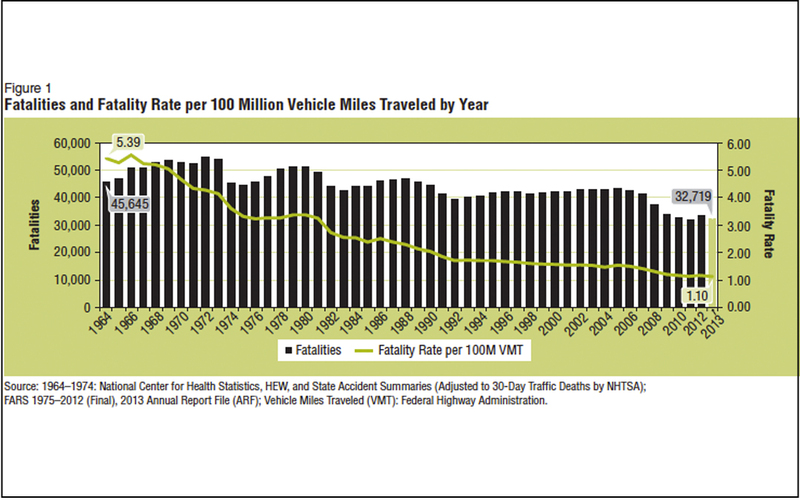 At 1.10 deaths per 100 million vehicle miles traveled, 2013 (the most recent data available) had the lowest number of road deaths ever in the U.S. Read the full report.